NDSC, through the Collaboration to Promote Self-Determination (www.thecpsd.org), has taken a leading role in planning for an upcoming Congressional briefing on Competitive Integrated Employment (CIE) entitled “Success of Youth with Disabilities Transitioning From School to Competitive Integrated Employment.” This briefing will be held on Wednesday, Sept. 26 at 1:30 pm at the Longworth House Office Building, Room HR 1310. The briefing is sponsored by CPSD together with the National Council on Disability, in collaboration with Representatives Harper (R-MS) and Langevin (D-RI), co-chairs of the House Bipartisan Disabilities Caucus, Senator Bob Casey (D-PA), Senator Jerry Moran (R-KS), Senator Maggie Hassan (D-NH), Rep. Cathy McMorris Rodgers (R-WA), and Rep. Seth Moulton (D-MA). This briefing will showcase how states are helping youth with disabilities succeed as they transition from high school and enter the general workforce. Participants will hear from people with disabilities and their families about why competitive integrated employment is so important to them. State speakers from Delaware and Wisconsin will feature their states’ successful CIE programs. The briefing will be attended by special guest Dan Habib, nationally recognized filmmaker. Dan will be sharing a clip from his new INTELLIGENT LIVES project, highlighting the experiences of people with disabilities transitioning from school to work. Please join us at this important briefing. The invitation to the briefing is available here, as well as the Facebook event. Please share it with your elected officials and encourage their staffers to attend! The EMPOWER Care Act, introduced in the House by Representatives Guthrie (R-KY) and Dingell (D-NY) and in the Senate by Senators Portman (R-OH) and Cantwell (D-WA), would extend and improve the Money Follows the Person (MFP) Demonstration Project for five years. The MFP Project was enacted by President Bush in 2005 with strong bipartisan support. States have discretion in how to use the funds, which they have used to expand or enhance home and community-based services (HCBS) programs, reduce waiting lists and fund housing supports. At the end of 2015, more than 43 states and the District of Columbia were participating in the MFP demonstration program, with over 75,000 individuals with disabilities and seniors transitioning from institutions back into the community. However, the funding for the MFP program expired in 2016. Without reauthorization by Congress, states will lose access to this funding which helps many people with intellectual and developmental disabilities transition out institutional settings into the community-based care setting of their choice. NDSC recognizes the importance of Medicaid-funded HCBS to individuals with Down syndrome and their families and has been working with other national groups toward passage of the EMPOWER Care Act. We are happy to report that this bill passed out of the House Energy & Commerce Committee last week and will come to the House floor for a vote shortly. Unfortunately, the version of this bill that passed Committee only reauthorizes MFP for one year, and we are still hoping for a longer reauthorization. However, one year is better than nothing! We encourage advocates to reach out to your Senators and Representatives and ask them to support the EMPOWER Care Act and reauthorize the MFP program immediately. This needs to get done during the 115th Congress. You can call the main Capitol line at (202) 224-3121 (voice) or (202) 224-3091 (TTY). For more information on MFP, please click HERE. Many states are seeking waivers from the Center for Medicaid & Medicare Services (CMS) to tie Medicaid eligibility to work requirements. NDSC opposes these work requirements, as we believe that they will negatively impact some people with disabilities and their caregivers. While some individuals with disabilities, including Down syndrome, would be exempt if they are on Supplemental Security Income (SSI) or SSDI, others who are not receiving SSI could be subjected to the onerous and detailed work requirements (For explanation of how work requirements will harm some people with disabilities, see HERE. For an update on Medicaid work requirement waiver proposals in approximately 30 states, we recommend viewing a summary provided by the nonpartisan National Academy for State Health Policy group HERE. In two of the states that have imposed work requirements in their Medicaid systems, Kentucky and Arkansas, health care and human rights advocates have joined together and filed lawsuits challenging the legality of these restrictions. For information about the Kentucky case, Stewart v. Azar, see HERE. For information about the Arkansas case, Gresham v. Azar, see HERE. NDSC is closely monitoring these cases and will report on any decisions. NDSC continues to be one of the leaders in the effort to pass the ABLE Age Adjustment Act (S. 817/HR 1874) this session of Congress. The ABLE Age Adjustment Act would amend Section 529A(e) of the Internal Revenue Code to increase the eligibility threshold for ABLE accounts for onset of disability from before age 26 to before age 46. This increase would result in millions of additional individuals with disabilities becoming eligible to open an ABLE account, which is an important savings tool to empower individuals with disabilities to achieve and maintain health, independence and quality of life. 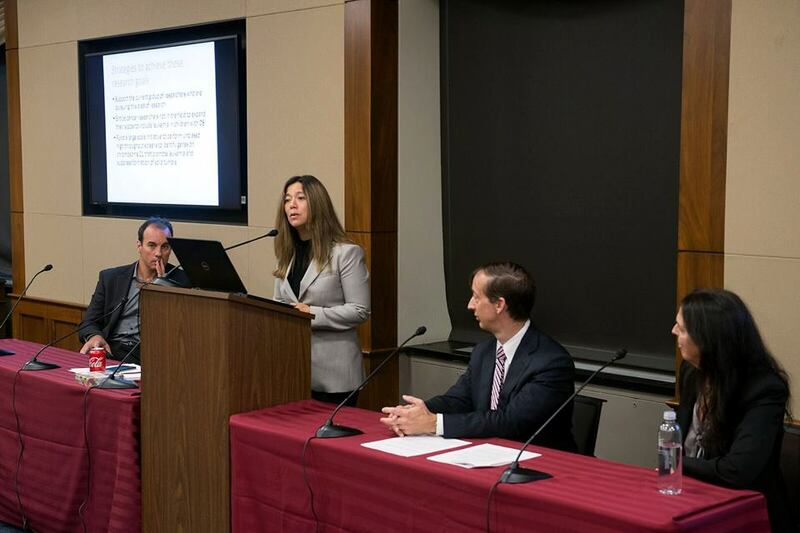 NDSC has co-hosted a national disability call-in day and issued two Action Alerts to encourage advocates to call their congressional members to cosponsor the bill (see Action Alerts HERE). We will continue to push for passage of this bill and will be issuing a revised Action Alert shortly. Please watch for it and call on your Senators and Representatives to support the ABLE Age Adjustment Act! Join NDSC’s knowledgable Policy & Advocacy Team on Tuesday, October 16, 1 PM Eastern: Why You Should Care About the Midterm Elections. Get an inside look at the issues, what’s at stake, and how you can talk to the candidates. Register HERE. Another opportunity to learn about the impact of the election and voting on key disability issues is a webinar hosted by Think College and presented by NDSC Senior Policy Advisor, Stephanie Smith Lee, titled “Washington Outlook: What Difference Will the Election Make for Persons with Disabilities?” For the webinar description, time and registration, click HERE. On August 20, 2018 the U.S. Court of Appeals for the 6th Circuit ruled in favor of a child with Down syndrome who was wrongly segregated by his school district. The case is called L.H. v. Hamilton County Department of Education and the Court’s opinion can be read HERE. The case affirmed the lower court’s decision that the child’s right to a Free, Appropriate, Public Education (FAPE) in the Least Restrictive Environment (LRE) had been violated. In addition, the Court decided that the parents should be reimbursed for the private school expenses caused by removing their child from this situation. You can read more about this case in this Inclusion Evolution blog post as well as in this WrightsLaw article. Although this Circuit Court opinion only acts as “precedent” (must be used in deciding future cases) in the parts of MI, OH, KY, TN which are located in the 6th Circuit, this decision will likely influence cases across the country. In July the U.S. Department of Education issued proposed regulations on the replication and expansion of Charter Schools, which can be found HERE. On August 26, 2018, in response to a request for public comments on these proposed regulations, NDSC submitted comments supporting the recommendations of the National Center for Special Education in Charter Schools (with a few clarifications). NDSC feels it is important to submit comments to ensure that the needs of students with disabilities are considered before the final regulations are issued, especially in this case where only twelve individuals and organizations submitted comments. The comments submitted by NDSC are posted HERE and the comments from the National Center for Special Education in Charter Schools are posted HERE. Civil rights advocates have been very concerned about statements by Education Secretary DeVos, which suggest that it is up to states whether to use Every Student Succeeds Act (ESSA) funds to arm school staff and/or train them to use firearms. The Title IV Student Support and Academic Achievement funds are supposed to be used in a variety of ways to improve academic education and for school safety activities such as student mental health services, bullying prevention, and professional development for personnel in crisis management. NDSC joined national and state/local organizations in signing a Leadership Conference on Civil and Human Rights letter to the Secretary asking the U.S, Department of Education to publicly clarify that ESSA funds cannot and should not be used for firearms or firearm training. You can read the letter HERE. In addition, more than a dozen education groups including both teachers’ unions, groups representing elementary and secondary school principals, and the National PTA, wrote a letter to the Fiscal Year 2019 Labor, Health, and Human Services and Education Appropriations Conferees asking them to clarify in their funding agreement that ESSA funds cannot be used for firearms or firearm training. Unfortunately, the request was sent very close to the date the appropriations agreement was completed and the clarifying language was not added. Their letter is HERE. Special Education – The bill includes nearly $12.4 billion for the Individuals with Disabilities Education Act (IDEA) special education grants to states, an increase of nearly $87 million over the fiscal year 2018 enacted level. Student Support and Academic Achievement State Grants under ESSA – The bill includes $1.17 billion, $70 million above the fiscal year 2018 level, for grants that provide flexible funds to states and school districts to expand access, improve school conditions, and increase the use of technology. This robust level of funding will support school safety activities, including student mental health services, bullying prevention, and professional development for personnel in crisis management. Impact Aid – The bill provides over $1.4 billion for Impact Aid, an increase of $32 million above the fiscal year 2018 level. Impact Aid helps districts where federal lands (e.g. military bases), which can’t be taxed, reduce the amount of property taxes that can be used for education. Career, Technical and Adult Education – The bill provides $1.9 billion for career, technical and adult education programs, an increase of nearly $95 million over fiscal year 2018, to ensure that all students have the opportunity to continue to develop their skills after high school and enter into good-paying jobs. Postsecondary Programs for Students with Intellectual Disabilities-these programs did not receive an increase, but were level funded at $12 million, the same as the fiscal year 2018 funding level. Recently NDSC was invited by Assistant Secretary of Education Collett to participate in a call announcing a new “framework” for the U.S. Office of Special Education Programs (OSERS). A graphic describing this framework can be found HERE. Assistant Secretary Collett also wrote a recent blog post on “Rethinking Special Education” HERE. NDSC will be closely monitoring proposed changes and will participate in stakeholder opportunities for involvement. As we start another school year, it is important to involve self-advocates as active members of their education from the beginning. This ensures that the expectation is set for school administrators, teachers as well as the self-advocates that they will be involved and have every right to be. Ask the self-advocate what would work best for them, how they learn best- they know themselves better than anyone and should have a say! Avoid decisions being made without their involvement or knowledge. Self-advocates should also share their vision/goals for the future so those plans can be referenced and reflected in their general education. 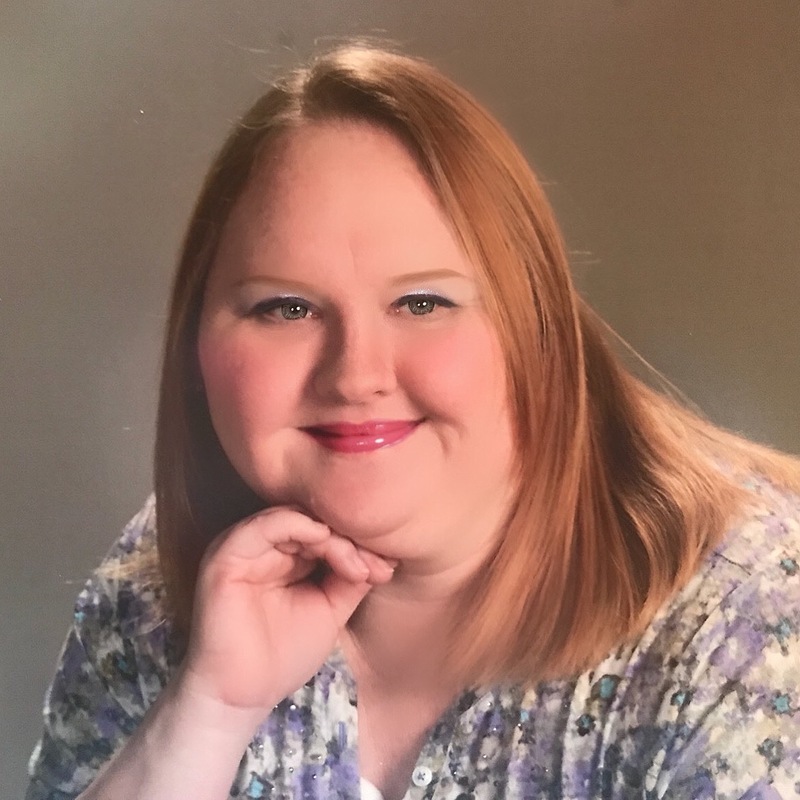 Jen Strauss (pictured above), a self-advocate from Wisconsin said that she always made sure to be present and involved in her IEP meetings and requested more time on tests when needed. Sign up to receive our Action Alerts! Receive timely, accurate information from the NDSC Policy & Advocacy Team and to magnify your voice. Signing up is free and takes less than one minute – simply provide your name, email, address and zip code. NDSC will not share your personal information and will use it for advocacy communication purposes only. 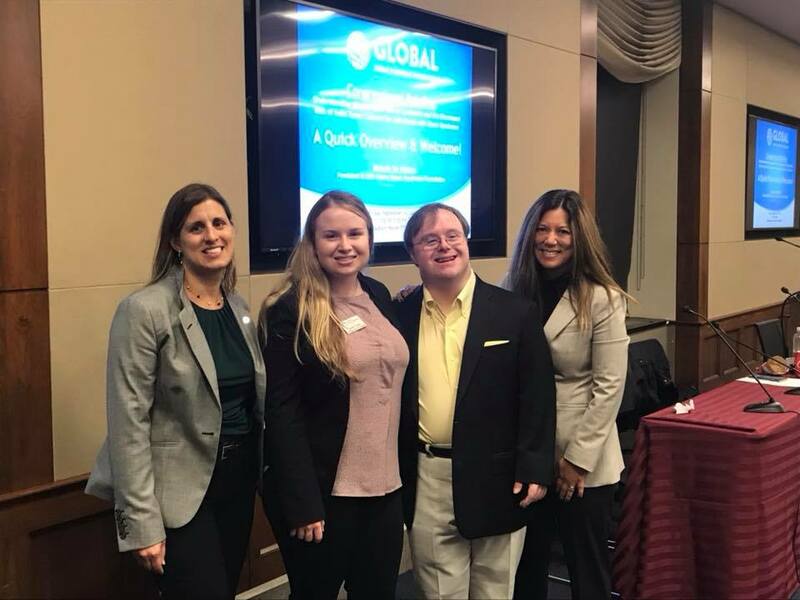 Interested in joining our National Down Syndrome Advocacy Coalition (NDAC) program? Become a member today, learn more HERE and submit a quick application. If you like what you see, please consider making a donation to help us further our Policy Team goals. Click here and put “Policy” in the Comments section. Thank you!